Many Italian companies have offered some sort of help. 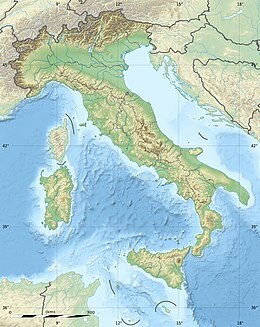 All Italian mobile companies (Telecom Italia Mobile, Vodafone Italy, Wind, H3G), and some Mobile virtual network operators, sent free minutes and credit to all their pre-paid customers in Abruzzo, suspended billing to all post-paid customers and extended their coverage with additional mobile base stations to cover homeless camps. In addition, some companies sent free mobile phones, SIM Cards and chargers for those who lost their mobiles, and set up a national unique number to send donations to, by placing a call or sending an SMS. Poste Italiane sent to homeless camps some mobile units acting as Postal Office, to allow people to withdraw money from their accounts as well as their retirement. Many companies, such as pay-tv SKY Italia, suspended billing to all customers in Abruzzo, and offered some decoders to homeless camps to allow them to follow the funerals and the news. Ferrovie dello Stato offered railway sleeping carriages to host some homeless people, and offered free tickets to all people and students living in Abruzzo. AISCAT (Associazione Italiana Società Concessionarie Autostrade e Trafori) declared that all toll-roads in Abruzzo would be free of charge. All tax billing for all Abruzzo residents has been suspended by the government, as well as mortgage payments.